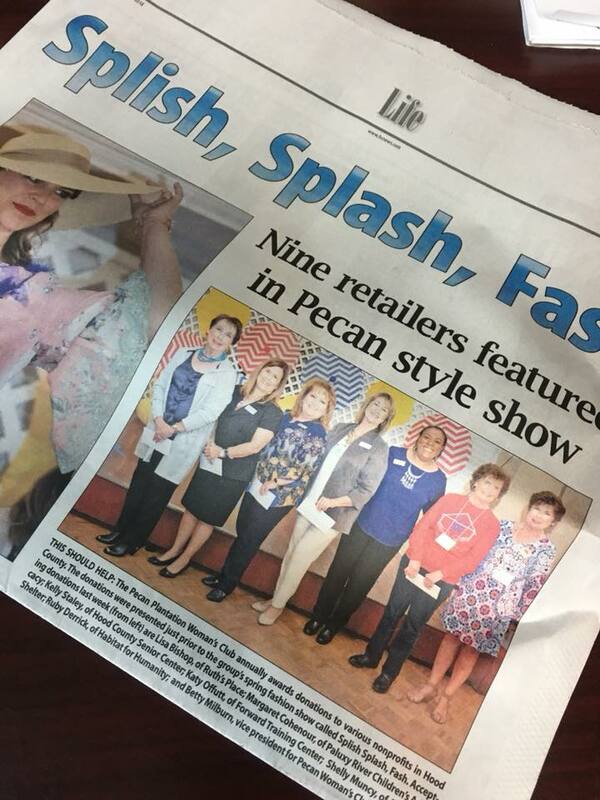 Pecan Plantation Woman’s Club is to promote fellowship among Pecan women and uses Club resources to support the community needs of the Pecan Plantation Owners Association and worthy charitable causes. The PPWC have increased their number of charities that they give to each year for the past three years. This year’s charities include Ruth’s Place, Paluxy River Children’s Advocacy Center, Hood County Senior Center, Mission Granbury, Habitat for Humanity and of course, Forward Training Center! We are so thankful for the community support alongside such giving organizations. 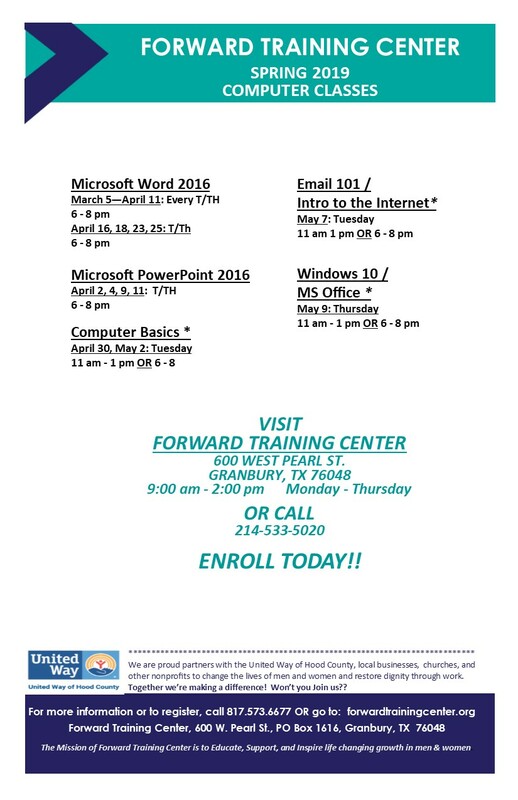 Thank you, Granbury and PPWC!